The similarities between Aerosmith and ZZ Top are uncanny. ZZ Top is a "little ol' bar band" from Texas who hit it big on their third album (Tres Hombres) with catchy lyrics and powerful guitar riffs. Aerosmith is a "little ol' bar band" from Boston who hit it big with their third album (Toys In the Attic) which also had catchy lyrics and powerful guitar riffs. Both bands made comebacks with their MTV era music videos and both bands are currently working on new albums. But, it's been 33 years since Aerosmith and ZZ Top have shared a stage together. Sunday night brought the two bands together at the Mohegan Sun Arena for a night of rock heights. Two of the most famous beards in the music business belong to ZZ Top. Both Billy Gibbons and Dusty Hill are known for their long beards and fuzzy guitars. Many times, the two would appear as one as they performed their solos in unison. The two traded verses of the night's opener "Got Me Under Pressure" before proceeding in the dirty blues of "Waiting For The Bus" and "Jesus Left Chicago". Gibbons commented about the stores at the casino, "knowing what you get for your money, unlike the slot machines", which lead into "Cheap Sunglasses". Gibbons was never shy about displaying his skills on the guitar ripping off one solo after another, but it was their big-selling eighties hits that got the attention of the audience. The songs "Gimme All Your Lovin", "Sharp Dressed Man" and "Legs" found the crowd singing along, while the set closers "La Grange" and "Tush" saw many fans playing "air guitar". The fifty-minute set was not enough, as all in attendance wanted more. More would come, but it would come in the form of classic rock legends Aerosmith. The band had mentioned at the beginning of the tour that they would be performing one of their classic albums in its entirety, but it seems like that idea is slowly changing. In the first few shows of the tour, Aerosmith performed their classic 1975 album "Toys In The Attic" from start to finish, but last night's performance started off with the title track of that album. Their 1997 hit "Cryin" slowed the momentum of the opener to a sway. Throughout the night, their setlist seemed very choppy with up-tempo rockers and swaying ballads and never reached the onslaught of classic rock until the end. Steven Tyler's dancing and Joe Perry's guitar licks would became the main focus of the evening. Tyler tried to get the other band members involved by drawing the spotlight to them, but none of them strayed too far from their safe zone. The giant stage came alive on "Love In An Elevator", which featured different levels of lights and screens being lowered and lifted over the band. The night's first rarity of the evening was "Walking The Dog" which was followed by their breakthrough ballad "Dream On". Both songs are from the band's 1973 debut album. Aerosmith ended up going back to their original plan, performing the rest of their "Toys In The Attic" album. Steven Tyler seemed frustrated by the sound and plagued by mic troubles which caused him to disappear under the stage and miss his cues. Joe Perry controlled the spotlight and covered for Tyler's misfortunes. The pounding of Joey Kramer's drums on "Walk This Way" and Tom Hamilton's bass groove on "Sweet Emotion" worked the audience into a frenzy. Songs like "Uncle Salty" and "Round And Round" pleased long-time fans, while others waited for what was to come. The band finished strong with "Livin' On The Edge" and the up-tempo "Draw The Line". The missed cues continued into the encore. As the band prepared for The Beatles' classic "Come Together", Tyler appeared, stating he "hears a train a comin'" which convinced his bandmates to perform the crowd pleaser "Train Kept A Rollin'". Soon the tide shifted and Joe Perry called out for everyone to "Come Together" and the arena sang chorus to this 1969 Beatles' classic. With almost eighty years experience between the two bands, expectations were very high for a great show. While both bands delivered hard-rockining and hit filled sets, restrictions of time and equipment seemed to overshadow these legends performances. Upcoming shows at Mohegan Sun feature Styx with REO Speedwagon, Jay-Z and Stone Temple Pilots. Visit www.mohegansun.com for more information. The Static Jacks are an up and coming band from New Jersey. Their songs have been featured on Nickelodeon and XM Radio. There sound is very modern, bordering between punk and new wave. They have new 4-song EP out entitled "Bridges and Tunnels". The first single, "Fire On The Bridge And In The Tunnel Below" has a great upbeat tempo with a comparable sound to very early Police. Songs like "Stay A Lover" and "Wine Cellar" really show off the band's "new wave" sound. While the musicianship of these songs are very good, the vocals suffer slightly from an absense of passion in the lyrics. The Static Jacks are currently on their summer tour and will be performing at Billy Baloneys in Danbury, CT on June 28. Check out the band's website (www.thestaticjacks.com) for song samples, videos, merchandise and more. Throughout the late seventies and eighties, Michael Jackson was the meaning of pop music. Whether it was his music, his videos, his dancing or his style everyone knew his name. His songs were pop music masterpieces, his music videos were epic and his dancing was unworldly. In the early eighties, I, like everyone else, bought a copy of his album “Thriller”. I did not fall in love with the album immediately, but it was the music videos on MTV that put a vision to the songs, especially “Thriller”. 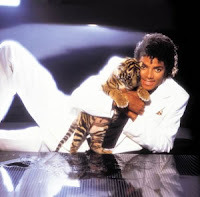 The music video for “Thriller” was unlike any other video of its time. It became an event that everyone gathered at the television set to see this short movie. Fans wanted to dance like him, dress like him and even try to sound like him. Even today’s artists try to emulate his style. He crossed musical boundaries with rock songs like “Beat It” and “Dirty Diana”, featuring some of the best guitarists of all-time. He performed with a Beatle and even owned the copyrights to a number of The Beatles songs. His album “Thriller” is the biggest selling album of all-time and the “moonwalk” has never been duplicated. His place in music history is undeniable. He will forever be known as the “King of Pop”. 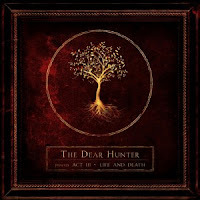 Three years ago, Casey Crescenzo and his band The Dear Hunter presented the first act in their music trilogy. This June, they released the third act, "Act III: Life And Death". This disc is one of the most versatile albums to be released in 2009. With concept albums not achieving much praise in the past, this album proves that it can be done. After the harmonizing interlude of "Writing On A Wall" the album kicks in to high gear with "In Cauda Venenum". The big sound coming from the band switches from punk to an amazing ballad imagery, while lead singer Casey Crescenzo's vocals border on a scream from time to time. The lyrics of this album read almost like a diary of the main character's events. The harmonies and vocals give so many layers to the songs "What It Means To Be Alone" and "The Poison Woman". "The Tank" sounds like a lost out-take from Pink Floyd's The Wall. The song "The Thief" is a swirling soundscape of sounds that just engulfs the listener. "Mustard Gas" is an all out rock assault, reminiscent of Queen's "A Night At the Opera". The gentleness of strings on "Saved" plays perfectly with Cresenzo's vocal delivery. "This Beautiful Life" keeps the listener guessing before the steady beat of "Go Get Your Gun". The songs "Son" and "Father" play right into one another as if to be one complete piece of music. The finale of "Life And Death" closes the album with a amazing delivery of music and vocals. The Dear Hunter leads the listener on a journey that can be attributed to ones own life. Once you push play, there is no way to stop listening to this album in its entirety. The Dear Hunter are currently on tour with Menwithoutyou. They will be coming to the New England area in July. Visit the band's website (www.thedearhunter.com) and myspace page (www.myspace.com/thedearhunter) for tour dates, music samples and much more. After proving to the world with last year’s reunion tour that the New Kids On The Block were back, this tour proved that they are here to stay. This is the group’s third appearance in Connecticut in less than a year, but the first of their 2009 "Full Service" world tour. Fans rose to their feet as a montage of old photos played on a large background screen. Each member of New Kids On The Block was introduced, jumping off the screen onto the stage. Opening with a couple of songs from their latest album "The Block", the boys danced their way into the hearts of their fans. But, it was the older hits that raised the volume of the screams. Songs like "My Favorite Girl" and "You Got It (The Right Stuff)" had the guys covering the stage with their dance moves. The ballads "Didn’t I (Blow You Mind)", "Valentine Girl" and "Please Don’t Go Girl" only paused the intensity temporarily. Fan favorite "Dirty Dancing" would electrify the audience once again. NKOTB’s Donnie Wahlberg took the center stage on a number of occasions to talk with the crowd as the guys continued with "No More Games". "If You Go Away" slowed the pace again only for a moment before they appeared on a second stage located at the rear of the arena. The whole audience danced along as the boys performed their hit song "Single". Donnie began the rotation of solo performances with the 1989 song "Cover Girl". Next, Jordan Knight took the stage to perform the song "Give It To You" from his solo album. He would be joined onstage by the opening act the JabbaWockeez. Finally, it was Joey’s turn. He began with a solo performance of "Popcicle", a song from the group’s debut album. But it was his new song "5 Brothers & A Million Sisters" and his skills on the piano, that caught everyone’s attention. The entire group returned to get the audience singing to the chorus of "Tonight" as they banded together for photo opportunities. The bass groove of "Click, Click, Click" pounded through the arena as their chorography had them dancing as a unit. As a "thank you" to their long-time fans, a performance of "I’ll Be Loving You Forever" hit the hearts of every single one. The concert turned into a party-like atmosphere as confetti and beach balls showered the crowd at the climax of "One Song". It would be the combination of their two #1 songs that raised the insanity to another level. "Step By Step" showcased the band’s well-known dance moves, but it was the arm swaying of "Hangin’ Tough" that had the audience moving as one. Dressed in Red Sox jerseys, the group bowed to the almost deafening sounds of screams and applause knowing they pulled off another enjoyable performance. The JabbaWockeez opened with a short twenty minute set of freestyle dancing. The kabuki/mime style dance troupe featured a remix of "old school" hip-hop songs mixed with new dance favorites. Jesse McCartney followed with his brand of teen/pop R&B. He performed a handful of songs including his first single "Beautiful Soul" and his newest song "Body Language". Upcoming shows at the Mohegan Sun Arena will feature hip-hop superstar Jay-Z and singing sensation Beyonce. Visit www.mohegansun.com for tickets and information. Performing together for over four decades can become a daunting task. But, Crosby, Stills and Nash have risen to the challenge. The trio’s perfect harmonizing had become a staple in the history of folk rock music and on Saturday night, they would bring their voices to the MGM Grand Theatre at Foxwoods. Their 100-minute set would cover most of their debut album (1969’s Crosby, Stills & Nash) with full band versions of “Marrakesh Express” and “Long Time Gone”. The latter featured one of numerous guitar solos by Stephen Stills that would make Neil Young jealous. Stills would command the spotlight on guitar solos for the Buffalo Springfield songs “Rock & Roll Woman” and “For What Its Worth”. The trio’s voices would need time to warm up before humming like a well-oiled machine. The beginning songs “Helplessly Hoping” and “You Don’t Have To Cry” would suffer slightly before diving into a batch of cover songs from their upcoming album. Crosby, Stills and Nash would breathe new life into these covers songs (Ruby Tuesday, Close Your Eyes, Girl From The North Country) as their voices meshed perfectly together. An acoustically quiet version of “Guinnevere” would bring David Crosby into the spotlight as he took over the vocal duties. The trio seemed to hit their stride on a full band Grateful Dead classic “Uncle John’s Band” which sounded like it was written for them to cover. A sloppy “Déjà vu” provided the audience a glimpse of CSN’s backing band with organ, piano and bass solos. An all-too-quick “Just A Song Before I Go” would set-up the requested “Almost Cut My Hair”. The bluesy version of the song would once again give David Crosby the spotlight before Stephen Stills’ solo took over. The audience would finally come alive, singing the chorus to CSN’s 1982 hit “Southern Cross”. Their returning encore would capitalize on today’s events with a masterful performance of the anti-war song, “Wooden Ships”. Exiting the stage, Graham Nash would flash the peace sign only to return with his band mates for the closing sing-a-long “Teach Your Children”. Bowing arm-in-arm would signal the end of evening for these harmonizing legends. With a recently released demos album and a Rick Rubin produced covers project on the way, Crosby, Stills and Nash show no signs of slowing down after forty years. Coming soon to the MGM Grand Theatre at Foxwoods is Earth, Wind & Fire with Chicago on June 19, Tower of Power on June 21 and Jackson Browne in July. For ticket information on these shows and more visit www.mgmatfoxwoods.com. This August will mark the 40th anniversary of the Woodstock festival that took place in Bethel, NY. 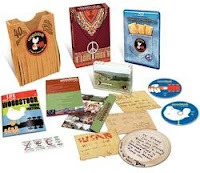 But the celebration has already begun with the release of a brand-new, newly remastered DVD & Blu-Ray box set of the originally Woodstock documentary. The three-disc deluxe box set will include the four-hour director's cut of the film as well as three more hours of extras including newly discovered footage of The Who, Grateful Dead, Santana, Jefferson Airplane and more. Also included in the set is a 60-page reprint of Life magazine, a Woodstock patch and prints of Woodstock festival posters. If money's a little tight, there is also a 2-disc DVD set of the four-hour director's cut of the film. Well, if you don't have the time to sit and watch that amazing festival, you can always listen to it. Also being released is a 2CD set of the original Woodstock soundtrack to the film featuring newly remastered sound from the original analog soundboard tapes. Let's not forget the follow-up soundtrack, Woodstock Two, which is also getting the remastered treatment along with bonus songs added. Coming out at the end of the month is a 10-CD box set called "The Woodstock Experience". This box set contains the entire Woodstock performances of Santana, Janis Joplin, Sly and the Family Stone, Jefferson Airplane and Johnny Winter. Each artist gets their Woodstock performance on a two-discs and it is the first time that these performances are being officially released. Each performance will also be available to purchase separately, but included in the box set are rare photos and 6 posters including the original Woodstock poster. With all this new video footage and music being released from the original Woodstock festival, will there be a 40th anniversary concert? The answer is yes, but might not be until 2010. Plans are in the works to have an anniversary concert put together by the original team that put on the original festival. But, no bands or location have been confirmed. If you still think that there should be a concert in August at the original site, then you need not worry. The "Heroes of Woodstock" will be performing August 15 & 16 at the original site. The "Heroes of Woodstock" include Jefferson Starship who will be performing Jefferson's Airplane set, along with Canned Heat, Ten Years After, Country Joe McDonald, Big Brother & The Holding Co. and Tom Constanten of the Grateful Dead. Also appearing will be Quicksilver Messenger Service, John Sebastian and Edgar Winter. So turn back the clock 40 years to the last summer of love in the sixties and enjoy some of the best live music ever created at one monumental festival, Woodstock. 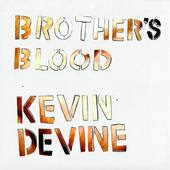 Kevin Devine Gives Us His "Brother's Blood"
Kevin Devine is arguably one of the best singer/songwriters that you haven't heard of...yet. Kevin and his Goddamn Band recently released their critically acclaimed new LP entitled "Brother's Blood" on the Favorite Gentleman label. The album starts off with only Kevin Devine and his acoustic guitar. It is an introduction to who Kevin is as a singer/songwriter. His lyrical wordplay is similar to Bright Eyes' Conor Oberst. From the gentle opening of "All of Everything, Erased" 'til the last sounds of "Tomorrows Too Late", Kevin Devine & The Goddamn Band lay it all out to show. In the song "Carnival", the band comes crashing in on Kevin's gentle delivery of his lyrics, showing another dimension of his songwriting. The Goddamn Band and Kevin Devine find their groove on "Another Bag Of Bones" that contains strong, powerful lyrics, screeching guitar solos and a drumbeat that keeps the song moving. The hand clapping "Hand of God" piles lyrics on top of lyrics that draws you in to Kevin's beliefs. At almost 8 minutes long, the epic "Brother's Blood" starts off with a bluesy bass groove before the lead guitarist takes the song to another level that is matched by Kevin's passionate screams. The album slows down with the ballad "Fever Moon" and the acoustic "It's Only Your Life" which leaves the spotlight to the lyrics. "Murphy's Song" has a folksy flow that features some nice harmony singing. The band rocks on "I Could Be With Anyone" and "Yr Husband" before returning to the Simon & Garfunkel sounding closer "Tomorrow's Just Too Late". Kevin Devine and the Goddamn Band will be performing this Friday, June 5 at the Webster Underground in Hartford. Do yourself a favor and check them out, you won't be disappointed. You can also purchase their new album at the show or online. Visit Kevin Devine's website (myspace.com/kevindevine) for more information about Kevin and his happenings.